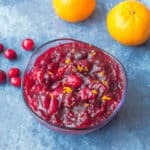 Fresh cranberry orange relish recipe – Christmas wouldn’t be the same with out a moderate serving of this zesty fruit infused relish. At the moment Cranberries are abundant in the UK, I’m talking about everywhere in sight and what’s even better is there affordability. 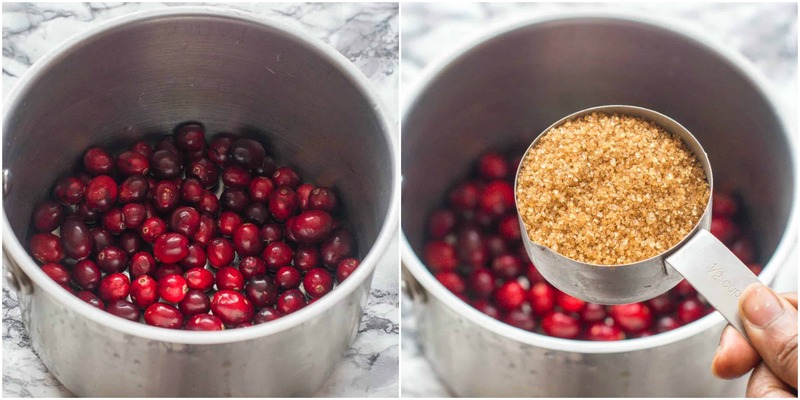 Last month I was on a cranberry frenzy I brought basket loads during my weekly visit to the grocery store and did plenty of experimenting too. 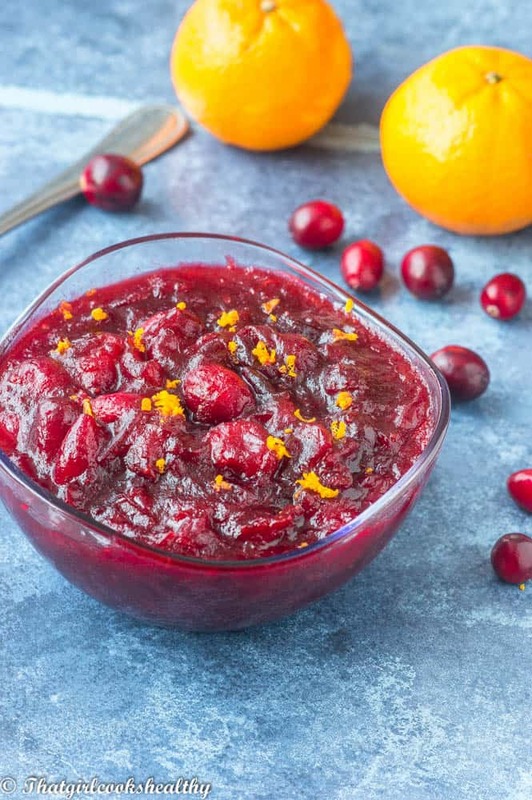 As a result,I couldn’t resist making this fresh cranberry orange relish recipe. It’s sweet, zesty and made within a matter of 15 minutes. A great side dish for a main course. Although, I usually partake in a traditional Caribbean Christmas I do like to make relish, sides and sauces that different to what I grown up on. 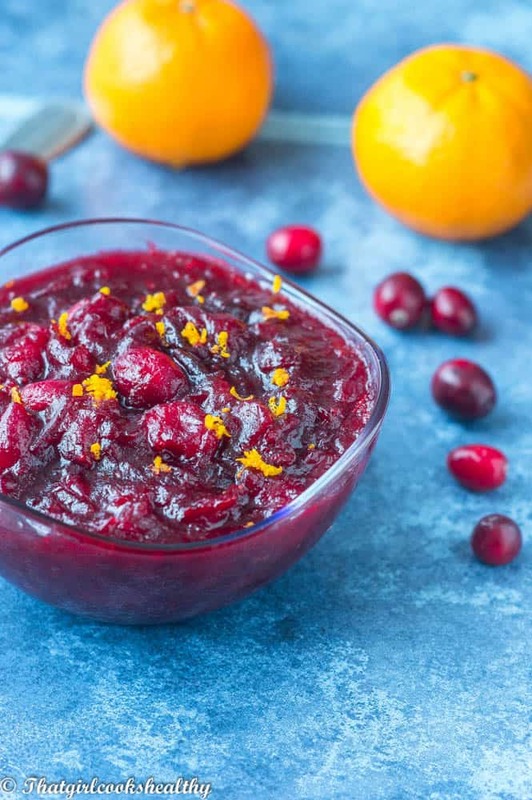 Cranberry relish is big business during the festive season and there are so many variations including this one containing orange juice and zest for that tangy flavour! Rather than make an ordinary sauce I pushed the boat a little by incorporating some orange and slivered almonds for a fruity and crunchy effect. The nuts are optional and have no negative bearing if omitted, so it’s your choice. 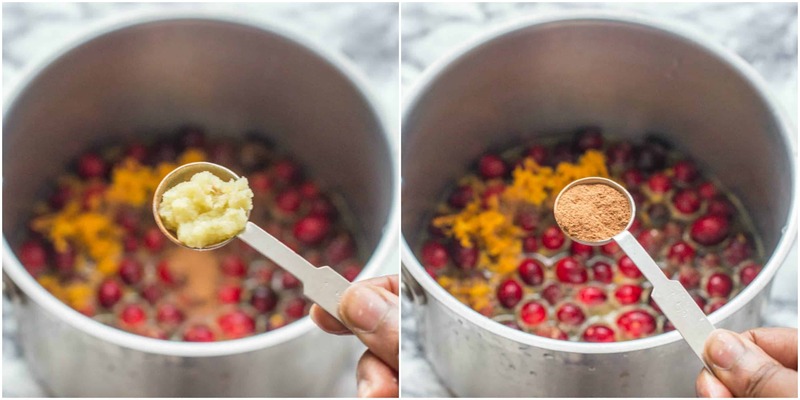 The cranberries are rinsed and placed in a saucepan along with the rest of the ingredients and left to simmer for 15 minutes. 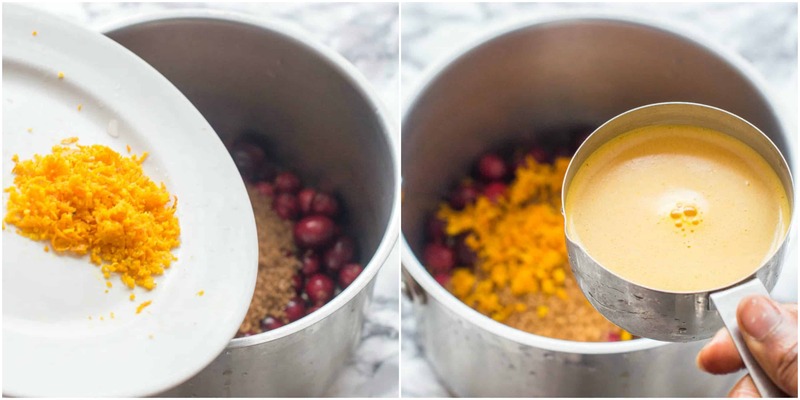 The ginger and cinnamon really enhances the cranberry flavour, making it even more irresistible. No refined sugars were used, only coconut nectar which is minimally processed with a low GI index which thankfully won’t cause a major inflammatory trigger or raise blood sugar levels. So let’s get cracking with cooking this dish in less than 20 minutes. 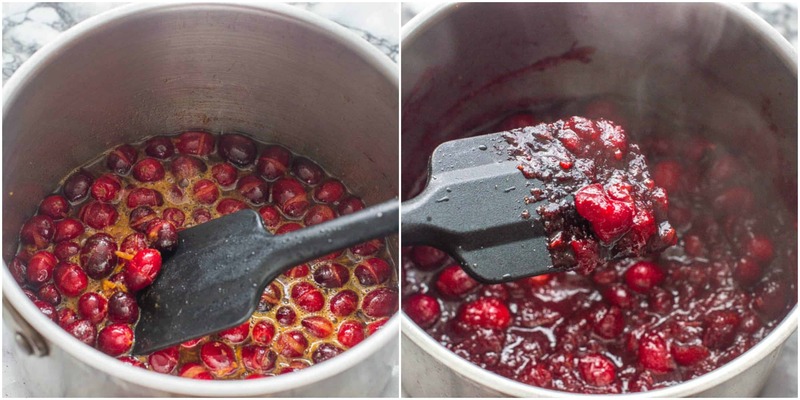 Then allow the cranberries to simmer for 15 minutes so the relish gradually thickens with time. Toss all of the ingredients into a sauce pan and bring to the boil. Once boiled reduce heat to simmer for 15 minutes stirring occasionally to prevent sticking. During simmering the cranberries will start to burst and the sauce thicken. When 15 minutes have passed remove pan from heat, allow to cool and serve or store in the refrigerator. Sounds divine, this would be splendid over a pork loin! Thanks Christina, you should try it and let me know.